But Netanyahu saw with growing anxiety that the Iranian threat was losing its edge. The US, so it seems, is about to reach an agreement with Iran, which will prevent it from achieving the Bomb… What to do? Ah, here we have a real threat, worse than the Bomb. A second Holocaust is looming. Brave little Israel facing the entire evil, anti-Semitic world… The legions of anti-Semites are on the march. Avnery went on to say that instead of isolating the settlements and separating them from mainstream Israelis, a general boycott re-awakens age-old Jewish fears and drives all Israelis into the arms of the settlers. Netanyahu is happy. He calls upon world Jewry to take up the fight against this anti-Semitic outrage. A good response to this Zionist propaganda nonsense was contained in a letter from Allan C. Brownfeld of the American Council for Judaism which was published, somewhat to my surprise, by The Washington Post. In my view the statement that defenders of occupation are hiding behind false charges of anti-Semitism is only a pointer to a much greater truth. IT IS THAT ZIONISM NEEDS ANTI-SEMITISM FOR BLACKMAIL PURPOSES TO PRESERVE ITS IMMUNITY FROM PUNISHMENT FOR ITS DEFIANCE OF INTERNATIONAL LAW AND DENIAL OF JUSTICE FOR THE PALESTINIANS. Without the explosion of anti-Semitism in Nazi Germany and Nazi-occupied Europe there would have been no Israel because prior to it the majority of the world’s Jews were opposed to Zionism’s enterprise. As I document in detail in my book Zionism: The Real Enemy of the Jews, they knew it was morally wrong; they believed it would lead to unending conflict; and most of all they feared that if Zionism was allowed by the major powers to have its way it would one day provoke anti-Semitism. What we are witnessing today, provoked by Israel’s defiance of international law and denial of justice for the Palestinians, is a rising, global tide of anti-Israelism which is not anti-Semitism; but it is enough to enable Zionism to assert that it is and put fear of being accused of anti-Semitism into the minds of most Western politicians, the mainstream media and most people in all other walks of public life. It can be said that the false charge of anti-Semitism is Zionism’s trump card. And that’s why I believe that if Obama (and the P5+1 as a whole) does sign an agreement with Iran, and if it is not sabotaged, Netanyahu will put maximum effort into promoting his assertion that BDS is the new Nazism. It follows, it seems to me, that the BDS movement must now put maximum, co-ordinated effort into explaining why boycotting and sanctioning Israel is peaceful and legitimate opposition to Israel’s policies and actions and not anti-Semitic. And I think it would be well advised to respond to each and every false charge of anti-Semitism. 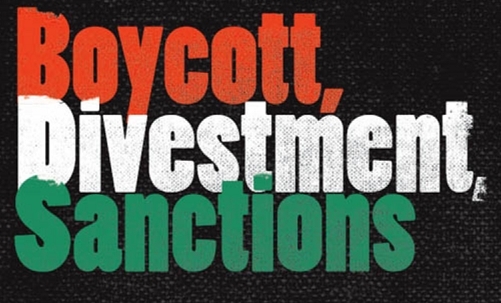 The question I frequently debate with myself is this – Can BDS really be a game changer? In principle I have always been for it but with two reservations. The first is that a non-governmental BDS campaign will not cause Israel to change course and become serious about peace on terns the Palestinians could accept. What I mean is that for BDS to have a chance of causing Israel to change course, the governments of the American-led Western world and Russia and China would have to endorse and embrace it and put Israel on notice that if it didn’t end its defiance of international law and denial of justice for the Palestinians, it would be isolated and sanctioned by the whole world. My second reservation is that even if that happened it could be counter-productive. I mean that it could cause the brainwashed majority of Israeli Jews to say, “Here it comes again.” The it being in their minds another great turning against Jews only beginning in Israel. And this would reinforce in brainwashed Jewish minds everywhere Zionism’s assertion that the world has always hated and will always hate Jews and, therefore, that anything and everything necessary must be done to secure Greater Israel as a refuge of last resort for Jews everywhere. Despite the fact that it could be counter-productive as indicated above, my own view is that the BDS movement as it currently is should now give priority to putting its act together to press the governments of the major powers to put Israel on notice that it will be isolated and sanctioned by the whole world if it does not end its defiance of international law and denial of justice for the Palestinians. If I was drafting a BDS movement message to governments I would include this. Dear Hart - I tends to agree with American Jewish writer and author Steve Lendman who has repeatedly insisted that Obama administration is not sincere in resolving its imaginary 'nuclear threat' with the Islamic Republic of Iran. He insists that even if the US ever signed a deal with Iran - sooner or later, Washington will find some stupid reason to break it blaming Tehran for not obeying the "agreement spirit". Netanyahu, as usual is lying about the BDS movement "existential threat" also. If one read the "revised manifesto" of BDS, he will find that in fact, BDS legitimizes Jewish occupation of historic Palestine aka Israel. BDS is not against the Jewish occupation of 78% of the historic Palestine. BDS uses the word “occupation” for the West Bank and Gaza Strip but not even for East Jerusalem which all were occupied by Israel as result of its 1967 War of Aggression. The BDS demands from Israel; 1) Ending its occupation and colonization of all Arab lands occupied in June 1967 and dismantling the wall, 2) Recognizing the fundamental rights of the Arab-Palestinian citizens of Israel to full equality (meaning Israel has the right to exist within pre-1967 borders); and 3) Respecting, protecting and promoting the rights of Palestinian refugees to return to their homes and properties as stipulated in UN Resolution 194. Although I entirely agree with Rehmat's sentiments, BDS is nevertheless an equally important measure to get people throughout the world not to remain indifferent to Israel's obscene crimes/excesses, and is a step in the right direction that will give it the well-deserved status of a pariah state. Actually, apart from reliance on exaggerated myths, the continued survival of the state of Israel hinges too on fear mongering of bogus or imaginary threats, without which it will fade out of existence. zio shameless monicanizers of the public desire for equal Law. The pretence that criticism of "Jewish Israel" is antisemitic has already been enshrined in laws in France, Canada and now Obama has said it in the USA. Israel claims it is treated unlike "normal" countries, but it is actually overprotected and allowed to get away with murder and constant lies. Alan's suggestion needs to be taken seriously, but the warped thinking of so many world leaders, and the ignorance of many Christians makes it unlikely. Alan, My Comment Must Have Hit A Tender Spot Where IT Hurt This Zionist Bunch OF S..Stirrers Where it Hurt the worst..You Know > >THE Truth Does Make those who have no truth in them.. Squirm. How much longer is This US of A going to Be the Benefactor Of Something So Wrong ..When Is It going to become Clear enough that even The Most Brainless Can recognize That The path It is Following ..IS So Wrong..And There is Never Going to be Anything Beneficial Coming From Its` Blindly Being Led Around By This Bunch Of WAR Mongers Who have Moved into every Crevice of Our Guvmt. and WE Are Being Swung By the Tail . It can only End One Way for this gullible country... Disastrously...... IF Those of Intelligence don`t wake up..and Now. So far 'anti-Semitic is Not A Plague on All jews. But If The jewish People Don`t Speak up Against All of this Bloodshed that is Being Done IN THeir Name..It is Going to Engulf And Destroy All of you. The irrational labeling of any action against Israel as 'anti-Semitic' has always, of course, been the default defence by Zionists. Against BDS, though, I've noticed another mantra. BDS is an attempt to 'delegitimise' Israel, which it is nothing of the sort. The Zionists have always been expert at this kind of propaganda. Say a lie often enough and people will believe it. (Is it Goebbels I'm paraphrasing here?). They also refer to this delegitimisation in passing, as if it's an accepted truth. Avnery's article, as always so readable, does make this point very strongly that boycotting all of Israeli produce, rather than just that of the settlements, has a rather counter-productive effect of driving the Israelis together. But blow it! Go for it! If we water it down now we may never get the chance to put pressure on them! There is only ONE way to create justice and (possibly) Peace to Palestinians: The U.N., who put Israel in the ME in the first place, must NOW, in the light of Israel's longtime criminal behaviour, remove Israel to somewhere else on our planet. And confiscate all Israeli nukes, bringing them under U.N. supervision. I do realize that it could be difficult to find somewhere on Earth where Israel would be welcome. But how about Allan Levene's suggestion: Somewhere in Texas, U.S.A. (Allan Levene is an American politician, running for state legislature in two different states; see "Congressional candidate’s two-state solution: A ‘New Israel’ in Texas" by Anthony Weiss (JTA, The Global Jewish News Service, April 25, 2014) http://www.jta.org/2014/04/25/news-opinion/the-telegraph/congressional-candidates-two-state-solution-a-new-israel-in-texas.